The enthusiasm for mountain bikes has increased a lot over the last 10 years, and so young (and not so young) riders want to test themselves over a competitive course in their local area. For the North West (and North in general) there is Farmer Johns Mountain Bike Centre and their very popular race weekends, with the latest one on August 23/24 2014. The centre is based near to Marple Bridge near to Stockport in Greater Manchester. 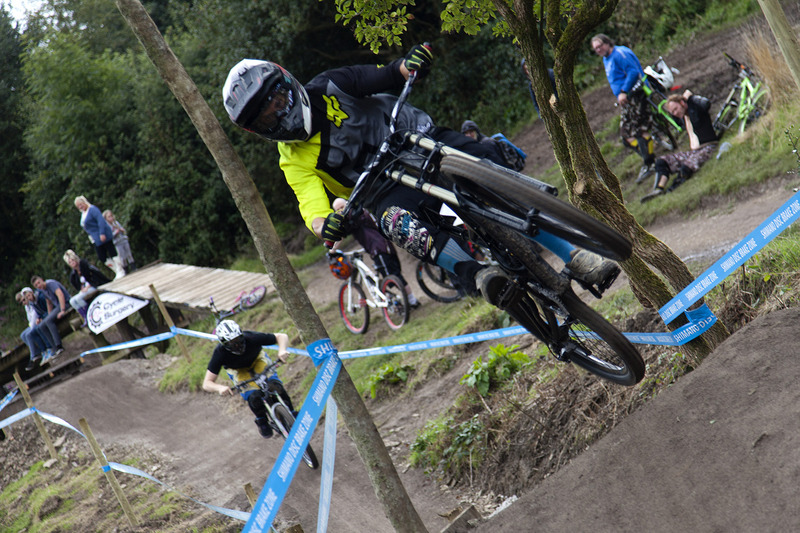 Farmer Johns MTB Park is a rider owned and run mountain bike facility on the edge of the Peak District. Established and run by “Farmer” John Thorpe and his wife Jill, FJ MTB park seeks to support and promote the sport of mountain biking in the North West of England and beyond. The original and main Downhill track is interspersed with North Shore, drops and rock gardens. The bottom woody section is tight and as you would expect rooty. The steep track used for each event is changed, using one of the several variants, and there is also a night track/ burm track, which can be used as part of the main downhill course. For riders (and spectators) the track is hilly, and steep and after rain slippery as well, so the track is only open when dry enough for racing, for safety reasons. The competition is divided up into age groups with riders as young as 10 up to seniors in there 50s, but the main section is for youth and Seniors (not forgetting the Ladies). The quickest times for these races is about 1:20 for the seniors, with commitment and confidence needed to post a consistently quick time. Each rider gets two runs to get the opportunity to set the quickest time (and win a trophy) in their category. The support all the way down the track is impressive and it is great to able to photograph close to the track edge, always though thinking of the rider safety. Sadly on Sunday there were serious crashes that meant the air ambulance was called out twice, but both just as a precaution. 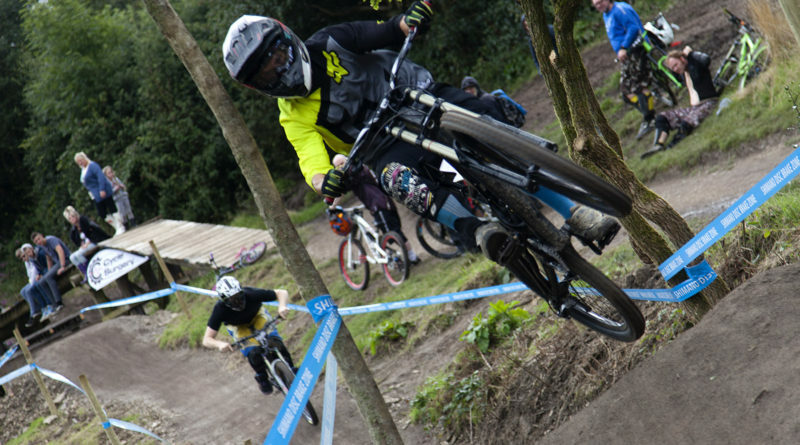 Planning is now taking place by the team at Farmer Johns MTB for the 2015 races, though the track is still open to members in dry conditions for practice runs.